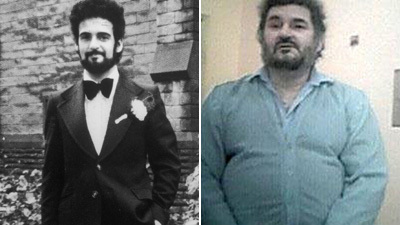 Yorkshire Ripper Peter Sutcliffe will today learn if he stands a chance of ever being freed from jail. A judge will announce his decision on an application by the serial killer to have a minimum term set which will give him the chance of parole. Now known as Peter Coonan, the 63-year-old former lorry driver, from Bradford, West Yorkshire, was convicted at the Old Bailey in 1981. He received 20 life terms for the murder of 13 women and the attempted murder of seven others in Yorkshire and Greater Manchester. A judge recommended that he serve a minimum of 30 years behind bars. His name was not on a Home Office list, published in 2006, of 35 murderers serving "whole life" sentences. That list of 35 - is Ian Brady on it? He's said he never wants to be released, and actually would like to be 'allowed' to die. Yes tooooooo much good living while he is in jail. You think he used to look good? been refused release. correct choice. Don't they provide large sizes in the smokie these days? Straining buttons is not a good look!